You are here: Home / News and giveaways / My Six. What’s Yours? I’ve written before about my struggle to find my place, my roots, in the city I live in. It took me awhile to find people I felt like I belonged with and who shared my beliefs on life, family, and faith. And now that I’m here, in this season of life, I’m planted. My roots are growing deep and I can’t think of anywhere else I’d rather be, raising my family. Grand Rapids has so much to offer for people like me; sustainable foods, midwives and doulas, support groups, and local businesses. I write a lot, most days in fact. So six words seems easy, yet trying to convey my feelings about what Grand Rapids means to me, or what I feel it has to offer, in only that – yikes. That’s hard! MyGR6 is this amazing campaign that Jenn of Big Binder sent my way. It was introduced at the Fourth of July Fireworks by Mayor George Heartwell. The campaign, sponsored by Amway and Grand Rapids Press, was designed to inspire people to show their pride for Grand Rapids. In only six words. And you can win awesome prizes by entering your own 6. We’re talking SIX people will win a prize package worth over $10,000!! It includes memberships to the zoo, museums, the gardens, overnight stays at local hotels, sports tickets, and gift cards galore. These winners will also have their six showcased on billboards around the city – this is a great way to share the news on our favorite parts of what the city offers. Growing, raising, and nourishing our families. Head to MyGR6.com to enter your own six! Let’s let everyone know what Grand Rapids has to offer. Check out the Interactive MyGR6 Exhibit at the Grand Rapids Public Museum – it opened September 10 (admission to the museum is free during ArtPrize!) and runs through the end of the campaign, October 4. Join me in a twitter party on September 20 from 8-9pm! Make sure you follow @BigBinderBlog (host of the MyGR6 Twitter Party) as well as @MyGR6. You can RSVP for the party and participate using the hashtag #MyGR6 for a chance win some fun prizes! 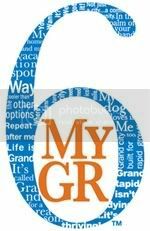 Make sure you enter your 6 at www.MyGR6.com before October 4!! I am proud to have been chosen as one of the bloggers to write a sponsored post about MyGR6. All opinions are my own.